And now, we've found out that Princess Charlotte is crazy about horses just like her grandmother. Apparently, Charlotte started riding when she was 18 months old — no biggie. You know, just riding for, like, half her life. The Duchess of Cambridge (that's Kate Middleton in case you need a royal refresher) spoke with equestrian Natasha Baker in 2016 about her budding equine enthusiast. More: Will This Royal Rule Help Princess Charlotte Become Queen Someday? I mean, can you envision a day when Charlotte and her granny trot together on adorable shaggy ponies around the palace? Any palace they choose. We don't care. We can see it now. In 10 years, when the queen is 102 and Charlotte is 13, the two royal peas in a pod can ride together and trade sly, snarky comments about world affairs, school drama and dull high teas as they canter through a protected magical glade. Yes, we know. Charlotte's only three. Yes, we know a career as a jockey is probably forbidden. But mad equestrian skills run in the royal blood. 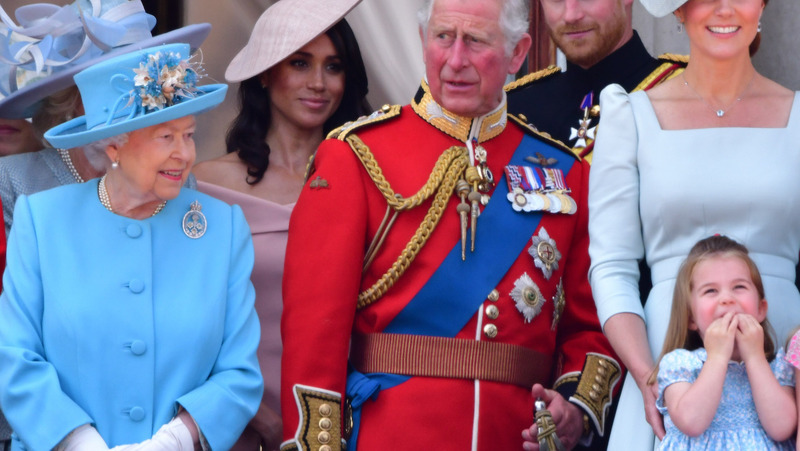 Take Charlotte's dad's first cousin, Olympian Zara Tindall, a notable equestrian athlete like her parents, Princess Anne and Captain Mark Phillips. Tindall won the Eventing World Championships in Aachen, Germany, in 2006 and is already riding again professionally just two months after the birth of daughter Lena. Who's to say Charlotte won't be eventing down the line?